When the water fades, what's left in the wake are words of the living whose feet escaped the mud. The Speedbumps are an award-winning American band with a warm, authentic sound, built on a passion for hollow-bodied instruments, indie-folk influences, and singer-songwriter Erik Urycki’s breathy, commanding vocals and canny phrasing. The band’s roots lie deep in the Rustbelt, where quiet strength and limited embellishment define the culture. The working class towns around Akron, the former rubber capital, from which artists like The Black Keys, Jessica Lea Mayfield, and Joseph Arthur have emerged, have provided the band with an aesthetic that seeks to tease out beauty from the gritty details of everyday life. The band consists of Erik Urycki on vocals and guitar, Abby Luri on vocals, guitar, banjo and keys, Sam Kristoff playing cello -- often where you’d expect a guitar riff, Kevin Martinez on acoustic and electric bass, and two members on drums and percussion, Pat Hawkins and Danny Jenkins. In addition to her ethereal vocals, Luri is also a songwriter and has co-written several of the band’s tunes. While the band cites influences from Paul Simon to Nick Drake to Radiohead, their material and vibe have more in common with festival favorites like The Decemberists, Wilco, Ryan Adams or Mumford & Sons, with their consistently smart, spare and rootsy approach. 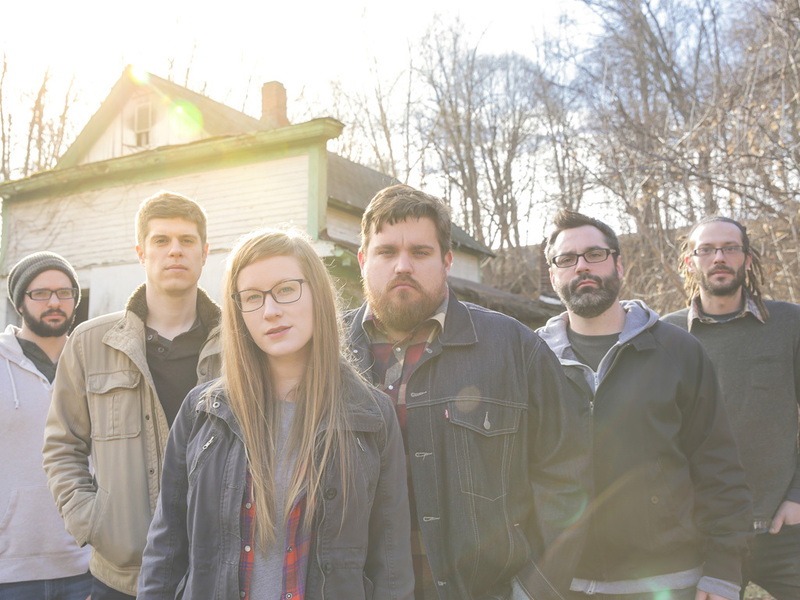 Their latest album, “Soil to the Seed,” was recorded in a remote cabin in the woods of Pennsylvania, where the band lived together, writing songs and laying down tracks at all hours. The resulting recording reflects that total emersion. As with seminal house-based recordings like The Band’s “Music from Big Pink,” the songs have an effortless unity. The Speedbumps’ unique live shows include instruments like Cello, Banjo, Ukulele, Wurlitzer, Glockenspiel, Vibraslap and Mandolin. On several occasions, the band has performed with a 40 piece symphony orchestra, featuring arrangements written by bass player, Kevin Martinez, who holds a degree in Music Theory and Composition. The Speedbumps winning combination of thought-provoking singer-songwriter material and high-caliber musicianship have earned the band a large and loyal fan base in the Northeast and Midwest. With the May 5th release of the their new album, the band will be touring United States and abroad, sharing their new songs and soaking up the world to feed the next batch of tunes.